Our Apartment Building Managers will take care of your Apartment Building like it’s they own, that is how we can guarantee that your apartment building will be in good hands when it is with us, apart from providing commercial real estate, office space for lease or your apartment Building for rent, our Maryland property management services is designed to help you with your building maintenance services for both your residential & commercial real estate. If you are in the market for a full service property management company to maintain office space for lease, houses, condo, building maintenance or any residential & commercial real estate you can be assure that we will get the job done on time and for the right price. Marsim Properties Is a Maryland licensed real estate Company, who will handle everything for you, from A to Z. The Maryland Apartment Buildings that we manage, are well kept and is loved my tenants. We don’t just stop with our property management services, our Apartment Managers offer additional services that can help you to easily maintain, your Apartment building, multifamily buildings, retail space or office space. We take great pride in our long-standing relationships that we have built over the years within our community, and we are a top rated company that provides building maintenance services in the Baltimore & Owings Mills Maryland area. In addition, for those investors who rehab homes, and own apartment buildings, our Apartment Managers will provide you with top property management services, and help with the screening process of moving tenants into these homes upon completion of the repairs or renovation. Marsim Properties have the best repair and replacement specialist team – We also provide consulting services to other management companies alike. We service commercial properties as well as family homes – We are very efficient in our delivery and effective in our process. We provide and deliver the best integrated solutions for all repair and replacement requests from clients’ apartments and structures all over Maryland at cost effective and affordable prices. We don’t just stop with our property management services; we offer additional services that can help you easily maintain your Maryland apartment building, multifamily buildings, retail space or office space. We take great pride in our long-standing relationships that we have built over the years within our community, and we are one of the top building maintenance service provider in the Baltimore Maryland area, In addition, for those investors who are in the rehab of homes, and apartment buildings, our property management services, can help with the screening process of moving tenants into these homes upon completion. We fully understand how difficult it can be to locate the right type of tenant to your home or apartment building, that you’ve invested so much into, for that reason, we use only the highest state of the art screening system in our Maryland apartment buildings, to ensure there will be no tenant landlord issue along the way, moreover, by using our excellent accounting, and reports that we provide for our clients that utilize our property management services, the person will be able to see at a glance how their overall investments are earning for them. That said, if the person already has their own selection process in place, we can provide knowledgeable guidance on how to blend it in with our system. Many of our clients that we service apartment buildings for and for those that have previously hired our skilled team of professionals have enjoyed the peace of mind we provide them. Now, let us do the same for you by handling all your property needs with the utmost care, and respect that they deserve for putting your overall trust in our companies hands. Our service comes with a full guarantees and satisfaction; we will work with you closely until you’re 100% satisfied. Perform detailed documentation of the interior and exterior including photos. Offer recommendations on repairs and cosmetic improvements that maximize monthly rent while providing good return on investment. 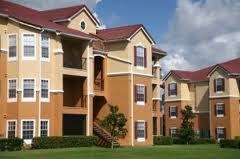 Discuss our apartment buildings maintenance programs. Establish a preventative maintenance services policy to identify and deal with repair needs. Provide a network of licensed, bonded and fully insured contractors who offer good pricing and good work that is up to code. Assign jobs to different parties (in-house employees, handyman and professional contractors) based on who will do the best job for the best price and to provide follow up maintenance services. Outdoor maintain services | Leaf and snow removal | Landscaping | Removing trash and debris. Maintain and monitor a 24 hour emergency repair hot-line | Larger renovation or rehab projects. Get multiple independent bids for the work. Act as general contractor overseeing the work. Clean property and optimize interior appeal | Manicure landscaping to increase curb appeal. Create ads tailored to the property and advertising medium. Some of the mediums commonly used are. Paid and free rental listing websites | Print publication | Signs | MLS | Fliers. Work with other realtors and leasing agents to find a tenant. Provide a 24-hour hot-line where prospective tenants can listen to detailed info about the property. Field calls from prospects for questions and viewings. Provide prospective tenants with rental applications that are legally compliant with fair housing laws. Grade tenant according to management requirement and Tenant criteria. Inform tenants who were turned down and follow up with prospective Tenants. Draw up leasing agreement | Confirm move in date with tenant. Review lease guidelines with tenant regarding things like rental payment terms and required property maintenance. Ensure all agreements have been properly executed. Collect first month rent and security deposit. Sending out pay or quit notices. Filing relevant paperwork to initiate and complete an unlawful detainer action. Coordinating with law enforcement to remove tenant and tenants possessions from unit. Perform periodic inspections (Inside and outside) on a predefined schedule looking for repair needs, safety hazards, code violations, lease violations, maintenance, etc. Send owner periodic reports on the condition of the property.